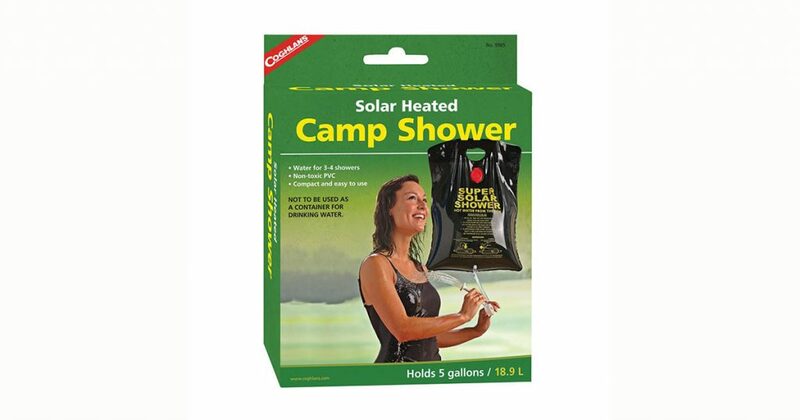 There are a Lot of Choices if You are Looking to Bring a Solar Shower on Your Next Camp Out. Camping is fun but it can also be dirty. When you’re camping or backpacking, you tend to sweat a lot and accumulate dirt to get where you’re going. Once you get to camp, you need to set up which makes you acquire more sweat and dirt. Going to bed dirty can make it harder for you to clean your sleeping bag even if you use a bag liner. The best way to keep your bag clean and practice proper hygiene at the same time is to shower in camp. Here are some of the best camping showers to keep clean and stay fresh outdoors. This outdoor shower is very easy to operate. The Summer Shower from Advanced Elements is very basic and easy to operate. You just fill it up with water and let gravity do the rest. But don’t worry because it has a solar system that provides hot water so that you don’t have to shower with cold water. It also features big pockets so that you can safely stow your soap and shampoo. Capacity range is 2.5 to 10 gallons and can be compressed to a small tangerine for storage. 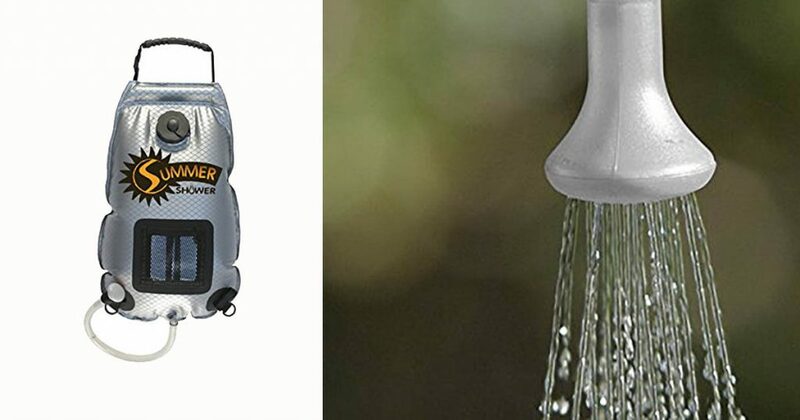 This is a good choice for a backpacking or survival shower because it is low-tech and compact. 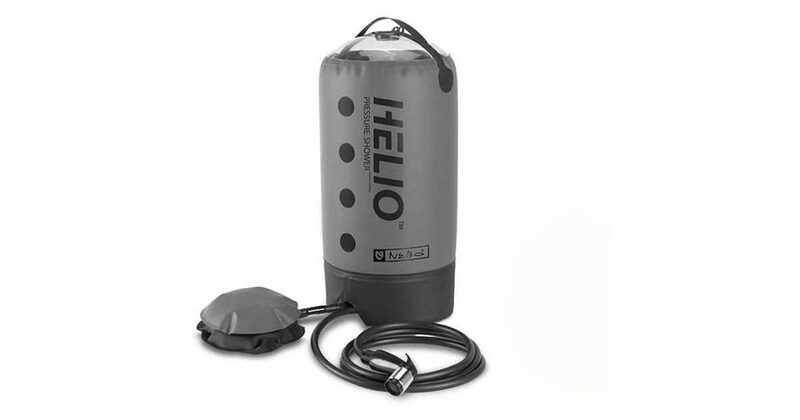 If you want a pressurized shower, the Nemo Equipment Helio Solar Shower is a good choice. Instead of a bag that you dangle on a treetop, you have a foot pump that you operate so that you get constant pressure without the use of electronics. With a holding tank of 11 liters you are assured of several showers before the water runs out. While it is an uncomplicated outdoor shower, it can be difficult to shower and pump at the same time. For hot water on the go, the Coghlan’s 5-Gallon Solar Heated Camp Shower will have you clean using hot water in no time. This no frills outdoor shower is easy to use, affordable and gets the job done. 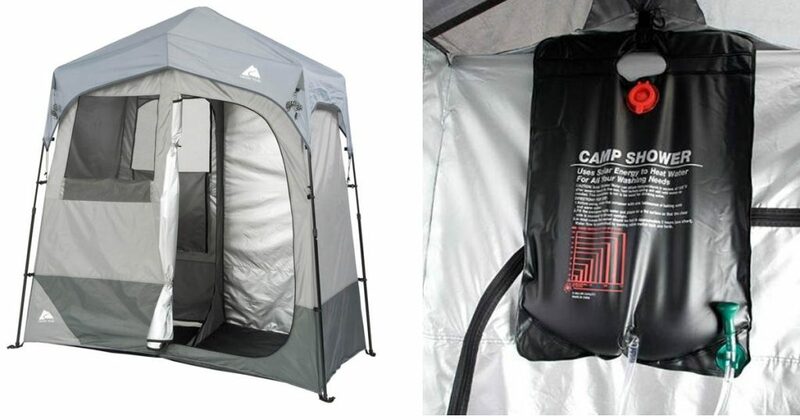 It has a 5-gallon capacity so you can take a couple showers before refilling while you’re camping. The pressure is surprisingly good for a cheaper shower and the water heats up quickly and when left in the sun for a relatively short period of time. Best of all, it is easy to transport, set up and store. If you want to have complete privacy while showering outdoors, try the Ozark Trail Instant 2-Room Shower and Changing Shelter. The tent is easy to set up and features space to change, a place to keep your clothes and towels dry, toiletry holders and windows. The 2-room set up allows users to strip down to their birthday suits so that you can enjoy the 5 gallon solar shower and enjoy your shower in complete peace and privacy. This outdoor shower shelter will set you back around $160. This outdoor shower is rechargeable. 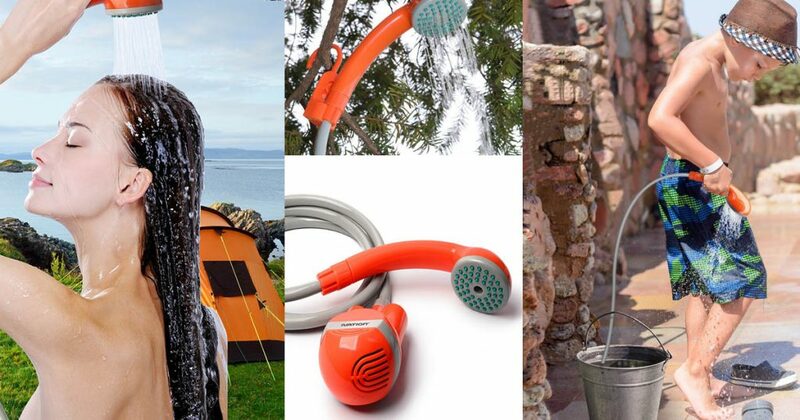 Simply drop it into any bucket or mountain stream and enjoy a shower with good pressure. While it does not heat the water, it makes bathing in lakes or using a bucket more enjoyable. The Ivation Handheld Portable Shower is easy to charge and stays charged for quite some time. The suction is strong and there is also a built-in filtration system so you don’t need to worry. An outdoor shower can make camping and backpacking more luxurious. It provides an easy way to stay clean and hydrated. 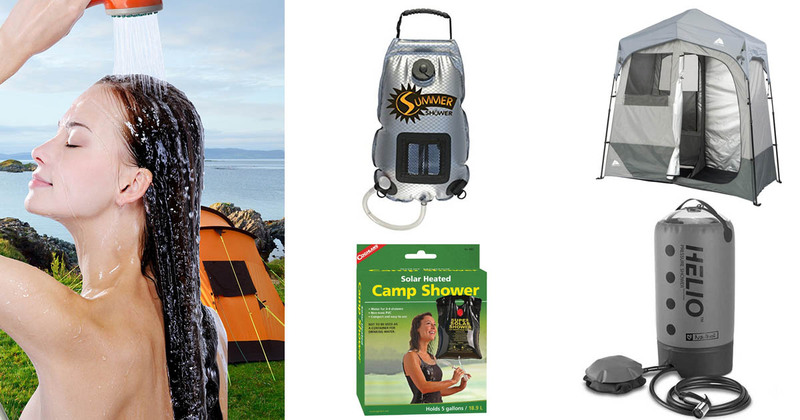 Depending on the type you buy, it can be easy to operate so that you can enjoy a shower as soon as camp is set.